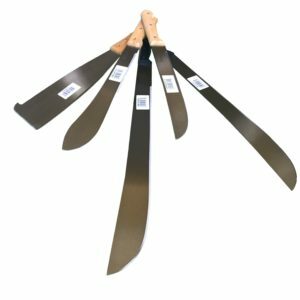 Our machetes are exciting additions to the SOG family. 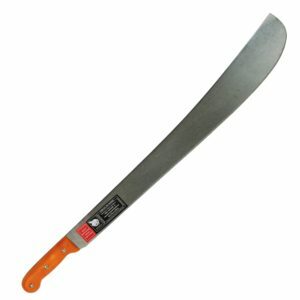 Its not “Should I have a machete” but “Which size will work for me”. 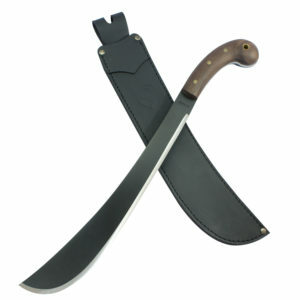 Machetes are one of the more useful edged tools in the world. They have cleared brush, and blazed trails, have chopped wood, made shelters, harvested crops, prepared meals, hunted and protected. Careful attention has been given to the SOGfari to make sure that the weight was right and the handles were comfortable for extended use. Whip them through the air and hear them sing. We’ve added a real working saw on the back of the blades with teeth that cut deep. 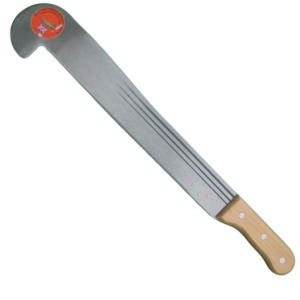 Extended out of the back of the handle is a spiked tang for pounding and scraping. There are even holes in the handle to mount lanyards. SOGfari… the go to tool for survival, exploration and adventure! 2.1 mm. / 1.9 mm.